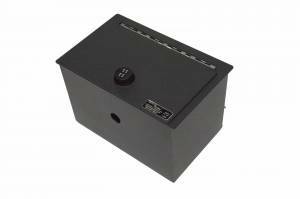 The EXxteme Console Safe® is just like our regular 12 gauge safe except we skeletonize the door and then weld a 10 gauge plate on top to strengthen it and cover the front and side gaps to resist prying. This safe fits the 2015 - 2019 Chevrolet Suburban and Tahoe, along with the GMC Yukon and Yukon XL . Also fits the new body style Silverado & Sierra if you want to keep the pocket between the power port and the multi-media ports. Please note that finger pull under lock is no longer available due to security issues. 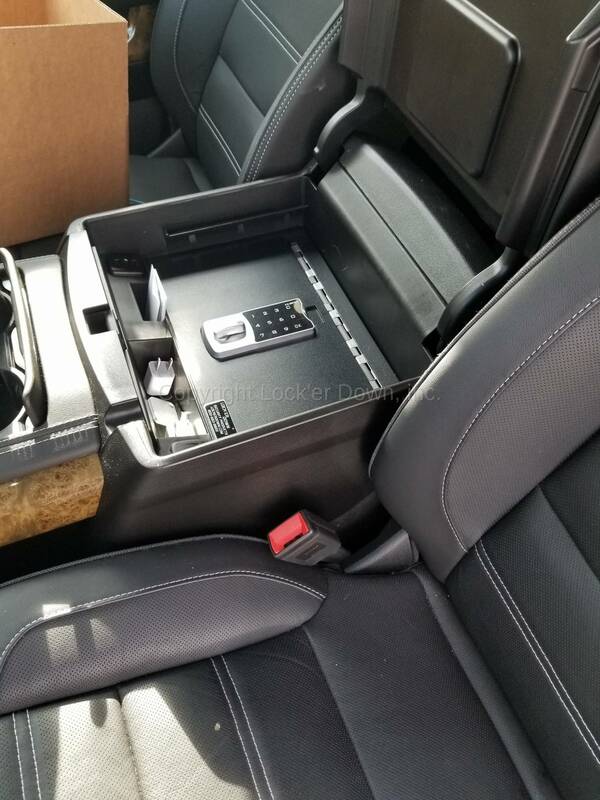 The Exxtreme Console safe fit perfectly and was very easy to install. 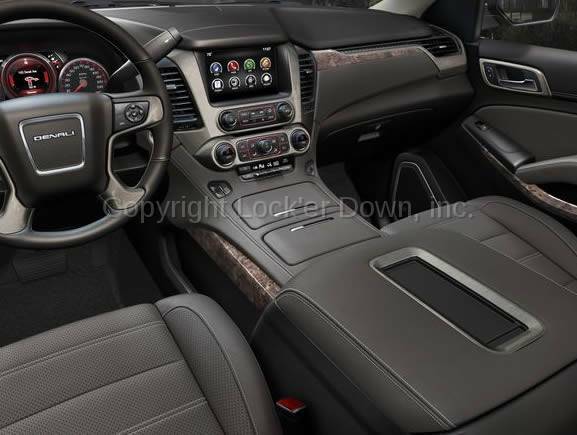 Ordered this for my 2018 GMC Sierra 1500 with bucket seats. Lock'erDown called and verified I was ordering the right safe for my truck and shipped it out immediately. Very quick and professional service. I'm extremely impressed with the quality and construction. I opted for the Abloy security keys. Fits like a glove and installs in minutes.